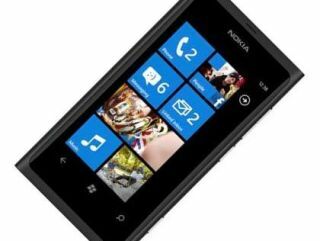 The Nokia Lumia 800 UK release date has been set as 16 November – with the next generation Windows Phone 7 handset attracting widespread interest. Nokia's Windows Phone is seen as a key step for both the Finnish phone giant and Microsoft – as it looks to take on rivals Apple and Google. Windows Phone 7.5 Mango has won plaudits, and Nokia will be looking to trade on the familiarity of its brand to bring a whole new audience to the smartphone market. The Nokia Lumia UK release date of November has been confirmed by several major players, although the early indications are that there may be a bit of a wait for the more colourful options. The Nokia Lumia 800 boasts a 3.7 inch AMOLED screen, a 1.4GHz processor and Carl Zeiss optic in the camera. The indication on pricing is that the handset will be available for no addition cost with some contracts and with a UK price without contract at £449.95.